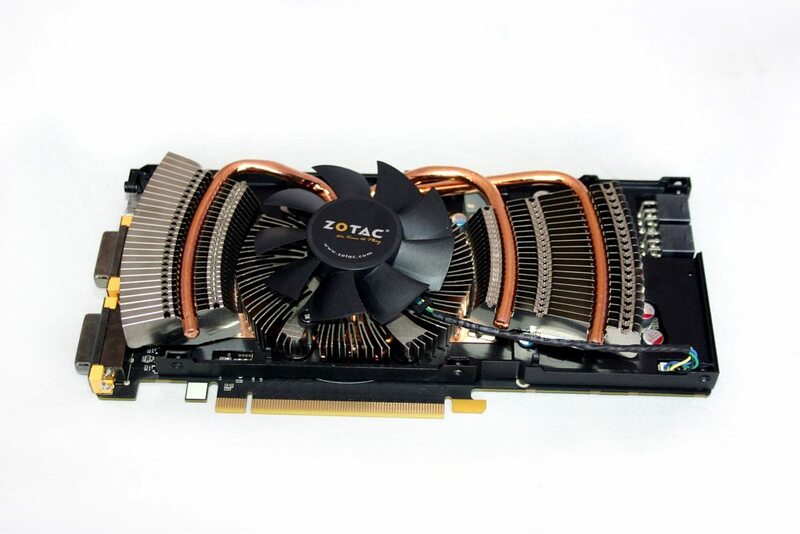 While the actual cooler itself is the stock one, Zotac have thrown a new shroud onto this GTX 560 to make it look at least a little unique. Admittedly the black and yellow does look pretty good, but I can’t see it improving cooling. 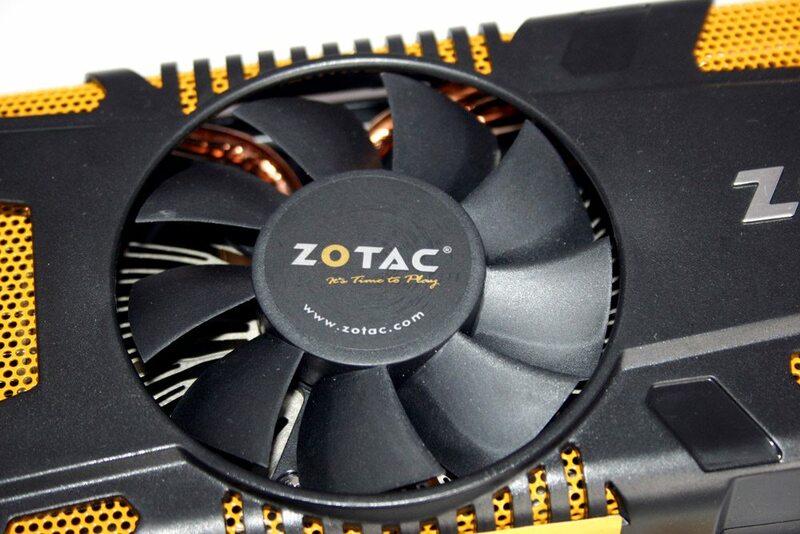 The fan is in the centre as usual, sitting over a large copper heatsink. 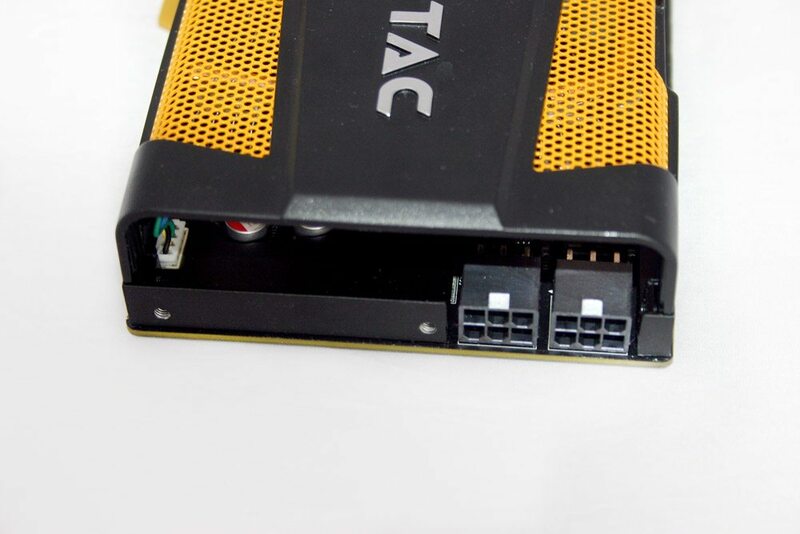 At the front end are the dual 6pin PCIe connectors. The back end has a single SLI bridge connector so only 2 way link ups are possible with this card. Not quite as many rear connector ports as some comparable AMD cards. 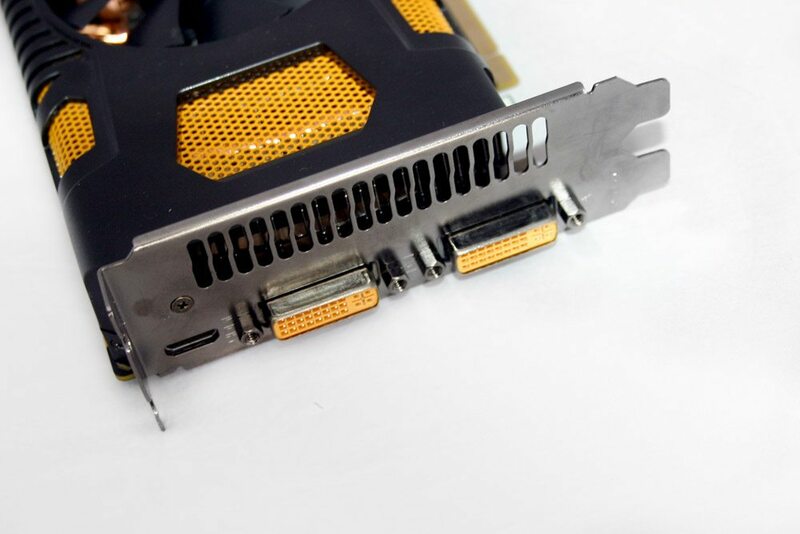 This 560 TI comes with dual DVI and a single HDMI. 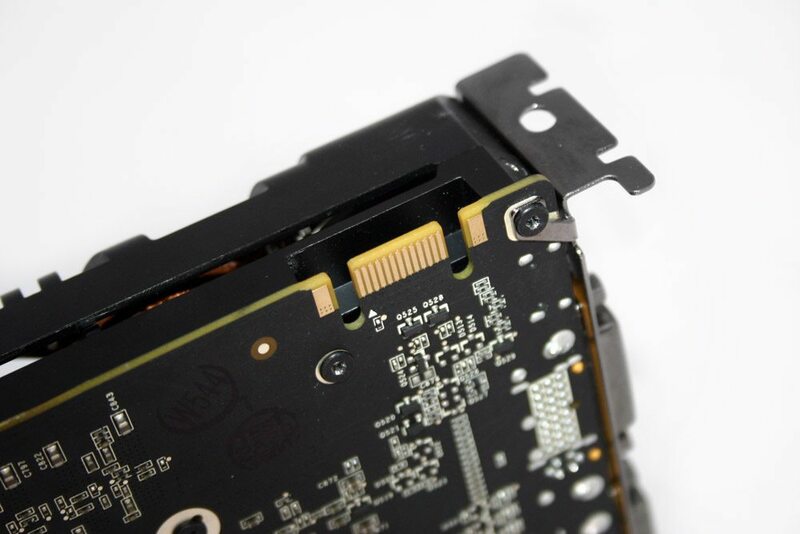 Card itself is still nicely low profile on the rear to prevent clearance issues. Popping the shroud off – with its many. 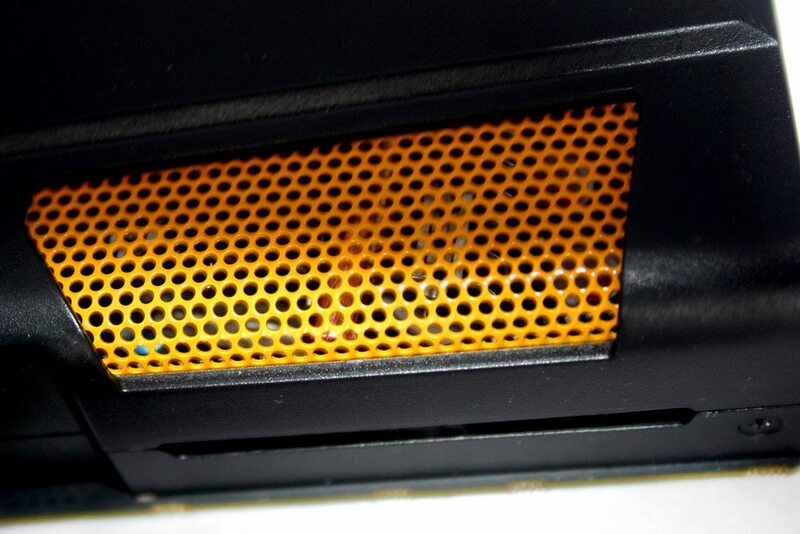 many screws – reveals the stock cooling beneath, including the copper core, aluminium heatsink and copper heatpipes. Removing this – which took a lot of force, I hate epoxy – gives you a look at the chunky core and all its memory module pals.